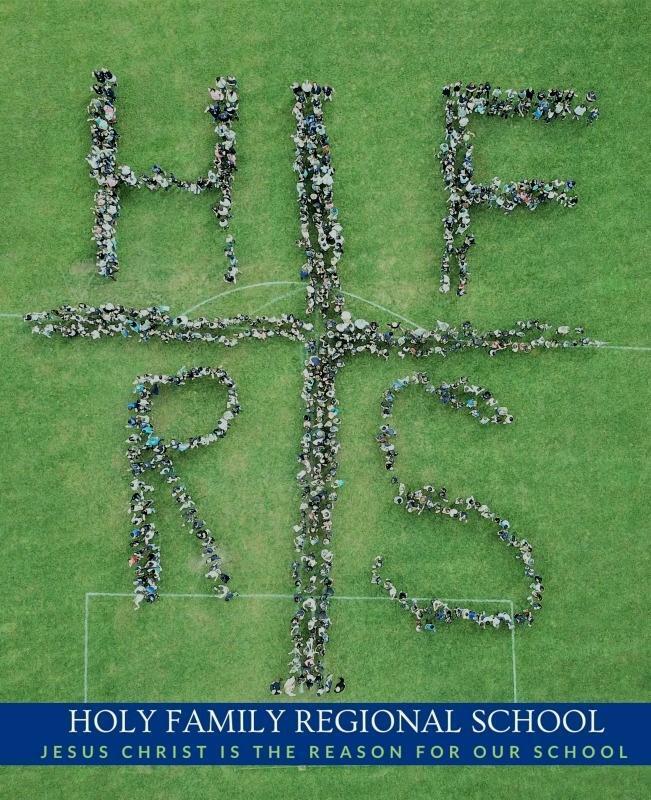 To celebrate The Feast of the Exaltation of the Cross our entire student body and staff assembled to form the HFRS Cross on our new athletic field. We are so proud of this amazing group effort by over 900 people, which provided a memorable and holy experience for everyone. Jesus Christ is the reason for Holy Family Regional School!